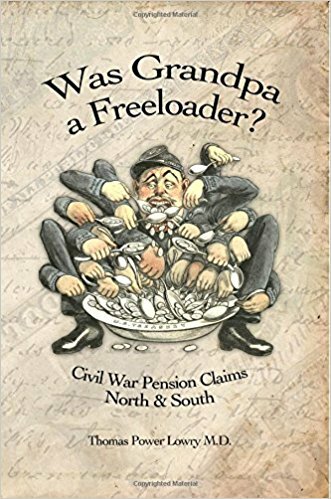 This book provides some good information on the pension systems, those of the Federal government and the former Confederate states. Some of the information confirmed things I already thought I knew about the systems while some of it provided genuine new information. Dr. Lowry discusses the laws which were passed and their effects on Union pensions (he does some of the same for Virginia pensions). This is obviously a topic of interest to Lowry but the copy I got has some layout issues. For instance, the chapters are listed but page numbers are not included. There is some unnecessary blank space within the book. Also, the organization of the book seems to wander at times. I would have liked to have read something about past practices of the United States government to recognize veterans via land grants, both by the individual states and the federal government. Also, information on the Soldier's Homes, widow pensions, paid burials and markers and other Federal benefits available for veterans might make it clearer just how large the federal government's largesse was. Still, it is the only book I have found on the topic and Dr. Lowry does make it more readable through his use of examples from his own family and by photographs of appropriate documents.